Finally working my way around to my own trolls again. With the Path of Devestation League starting, my interest was piqued with the upgradable heroes. So I decided to kick the trolls back into gear and get some much needed support in the form of the Krielstone. 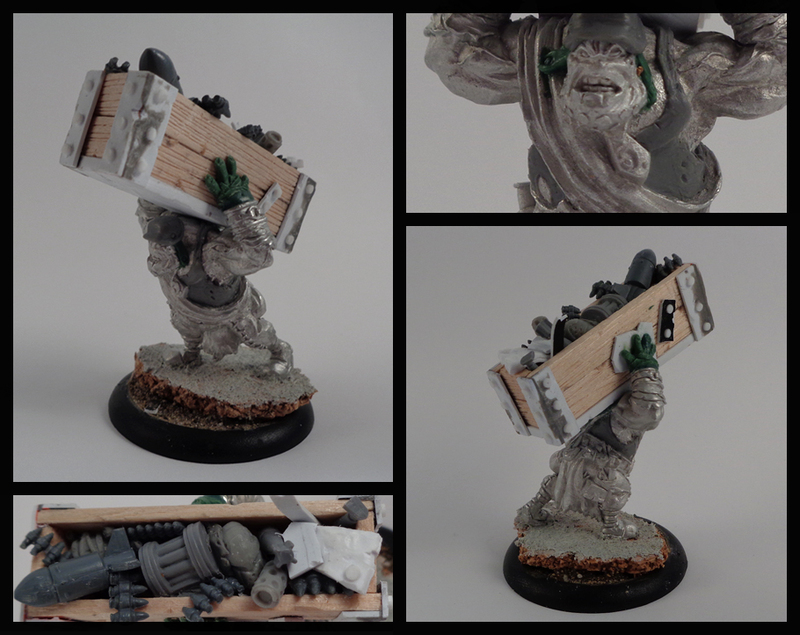 To fit my salvaged, war torn trencher trolls, I decided that a big magic stone was not the most suitable. So instead I figured he should carry a huge supply crate filled with ammo, rockets, scrap parts and booze. Complete with a tanktop and signature helmet of my trolls, this guy is bringing the support for his buddies. A lot of the bits in the crate were taken from old GW Imperial Guard weapons teams kit. A gold mine of parts indeed. Also thrown in are some ammo strap off of 40K Orks, some plasticard, mini barrels not used on my Warders, and a nomad head. I really wanted them to feel like mercs more than true trollbloods, so the rest of the unit will be carrying weapons and parts much like Raluk Moorclaw: A few trolls have goggles, some other have plated boots, another is carrying a Cygnar 'jack arm strapped to his back. All sorts of goodies. Aslo working on some alternate weapons.